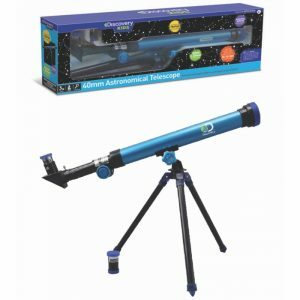 An economical telescope for the younger enthusiast. Great for seeing animals at a distance in the country-side. How does Animal planet 30X telecope work ? Optical telescopes allow us to see further; they are able to collect and focus more light from distant objects than our eyes can alone. This is achieved by refracting or reflecting the light using lenses or mirrors. 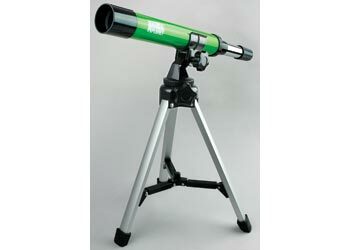 Refractive telescopes contain lenses much like those found in our own eyes only much larger. Inside the telescope, light first reaches a primary lens. Primary lenses are convex – rounded – and are able to bend the captured light and aim it onto a secondary, focusing lens. This second lens is then responsible for focusing that light to produce a clear image of the object. Reflective telescopes work in a similar way to refractors but by reflecting, instead of bending, light using curved mirrors. In both cases, more light captured in the primary stage means more power to see faraway and a more efficient focusing stage produces clearer images.